YouTube is not only the world’s largest video streaming website but today it has become our need present time. On Youtube, you can not only watch the videos, but you can also Earn Money to upload your videos on Youtube. Youtube provides a lot of features but there is also a Weakness of listening audio music. Actually, You aren’t able to Play YouTube Videos Background without watching the video. For this reason, In 2015 youtube has launched Youtube Red which is now called YouTube Premium. On youtube premium, you can play video on the smartphone’s background. But here also there are two problems, First of all, YouTube Premium is a paid feature that means you have to pay for using YouTube Premium, The second problem is YouTube Premium is not available in India. We will tell you some of the tricks, With the help of these tricks you can listen to songs from YouTube and the video will continue in the background of your smartphone. Step 1:- Download the Mozilla Firefox app from Google Play Store. Step 2:– After the installation Run YouTube on the Mozilla Firefox app. I mean run youtube on the browser, not on the YouTube app. Step 3:– Now play any video on YouTube. Step 4:– Once the video is playing turn off the phone’s screen or touch on the back button. The video will stay in the background of your smartphone without stopping. You can also enjoy the song after closing the screen. It is important to note that, this trick works on your android smartphone only. This trick will not work on iPhones. 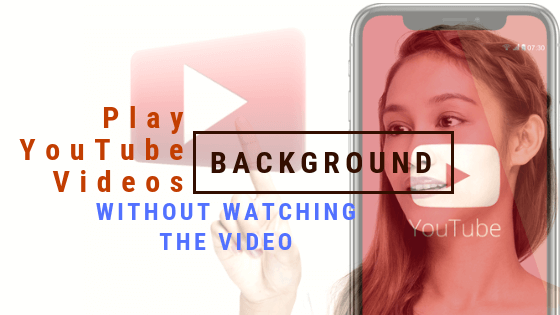 Play youtube videos in background phone, play youtube videos in background smartphone, play youtube videos in background android app, run youtube in background android, Want to play YouTube videos in the background.